Be the queen of an evening in this sophisticated and fabulous jewellery. The necklace gently embraces the neckline with multiple rows of rhinestones in gold-tone metal framing. The earrings resembling sparkling wings complement the look. 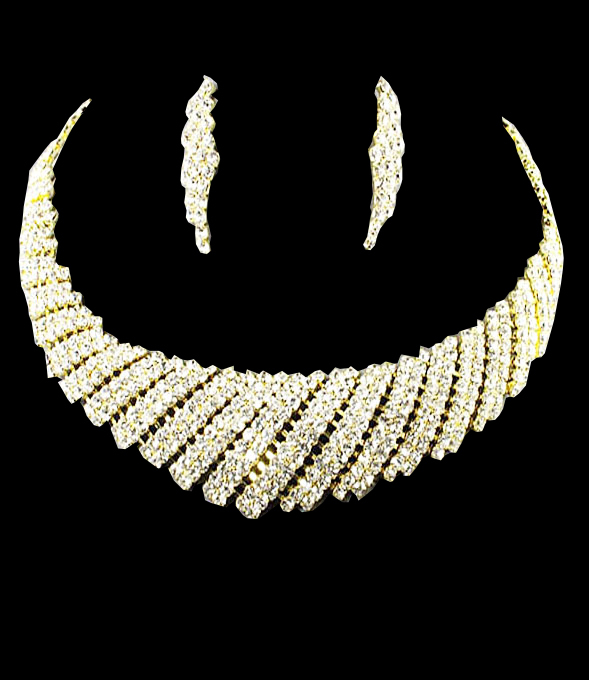 Buy this 'must have' piece of fashion jewellery online today at lowest price guaranteed.